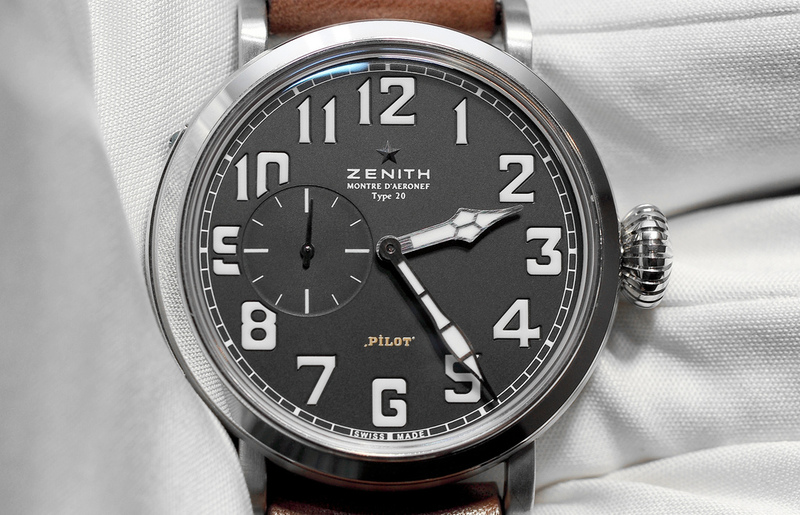 As a tribute to Zenith’s aviation history, this year at Baselworld they launched four Pilot watches. Three of the watches comes in a 48 mm case, one in a 40 mm case, which is pictured. Considering that 48 mm is huge on most people’s wrists, the Pilot Montre d’Aéronef Type 20 40 mm is the more wearable of the new Pilot watches. 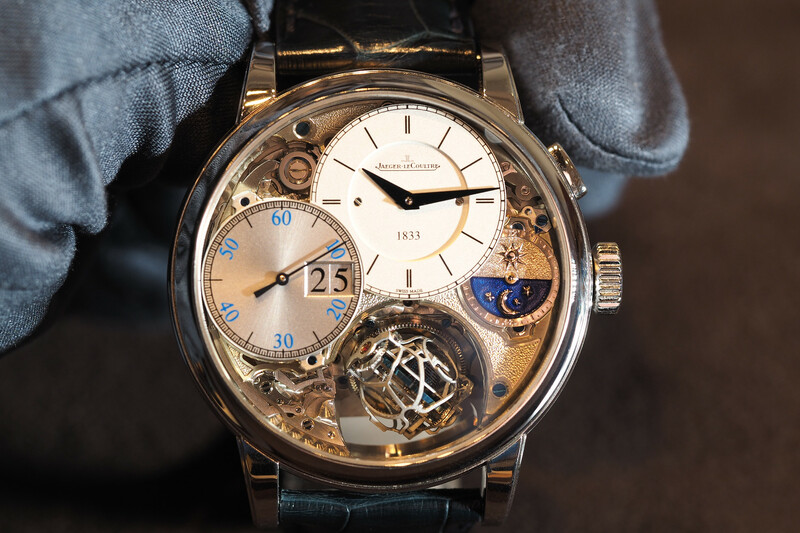 Inside is automatic elite caliber 681 which consists of 128 components, 27 of which are jewels. It has a 50-hour power reserve and runs at 4Hz. 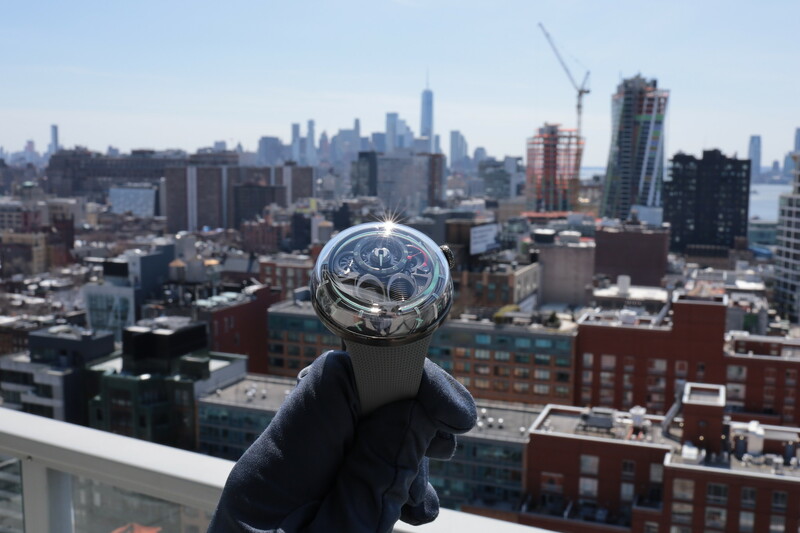 The oscillating weight is finished with “Côtes de Genève.” Functions include hours and minutes in the center, with small second at 9 o’clock. The dial is in matte black and is highly legible due to a clean design and Arabic numeral hour markers made entirely of white Superluminova (SLN C1). 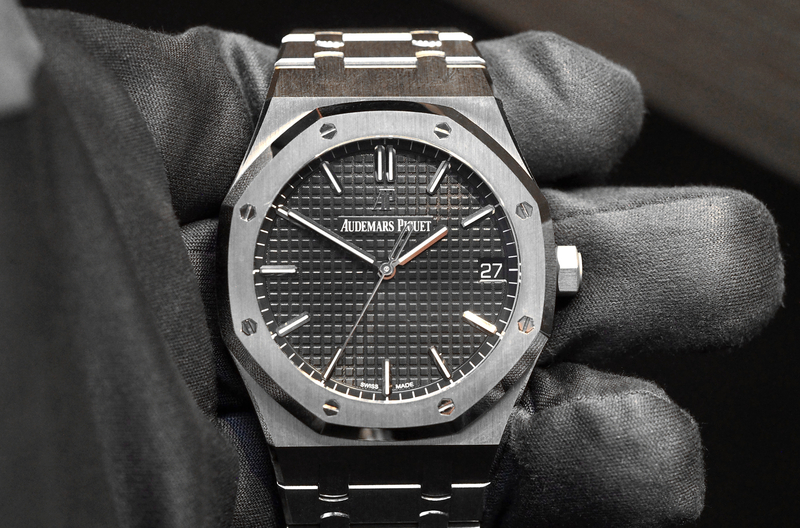 The hands are in black ruthenium and are satin-brushed. The sapphire crystal is a box-shaped with anti-reflective treatment on both sides. The case is stainless steel and features a solid steel case back and is engraved with the Zenith Flying Instruments logo. Water-resistance is 100 meters. Brown calfskin leather strap with protective rubber lining and stainless steel pin buckle.